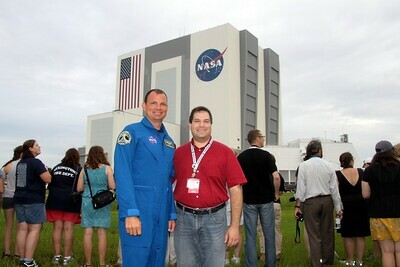 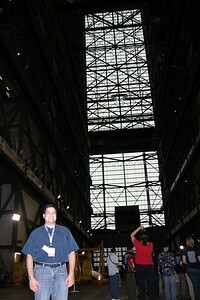 Craig with with astronaut Tony Antonelli, in front of the Vehicle Assembly Building. 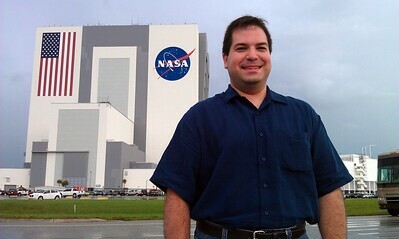 I watched Tony's launch on STS-132 in 2010. 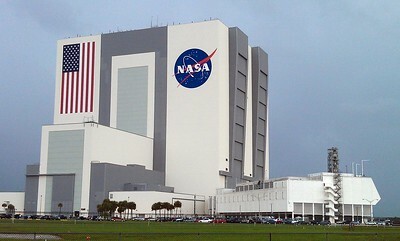 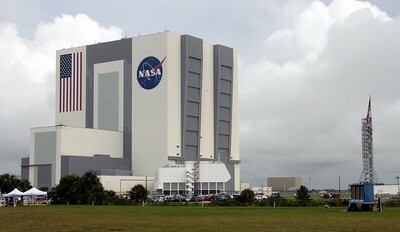 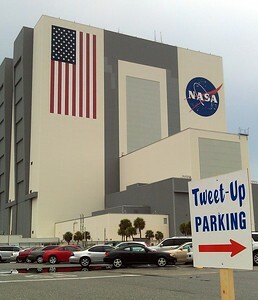 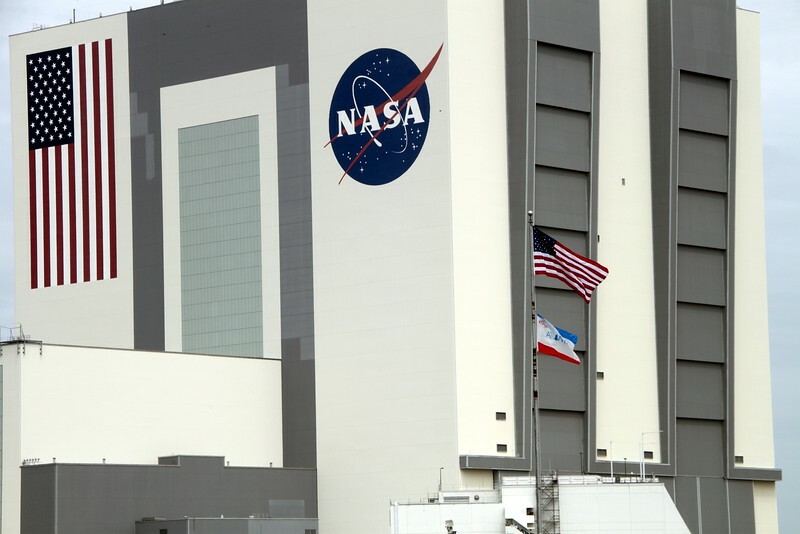 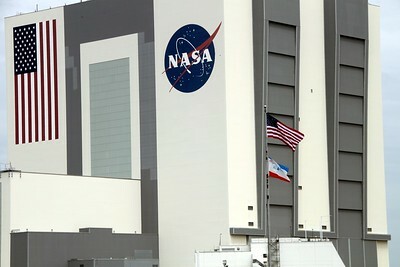 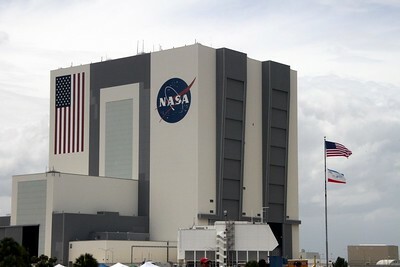 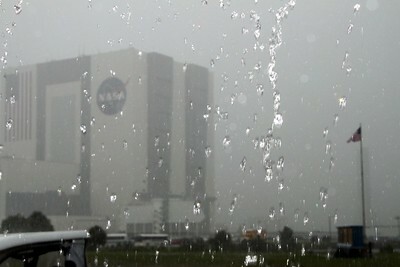 The Vehicle Assembly Building on launch day, with the flags of the United States and Atlantis flying. 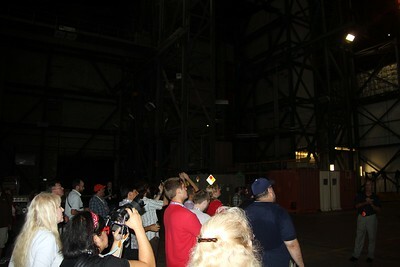 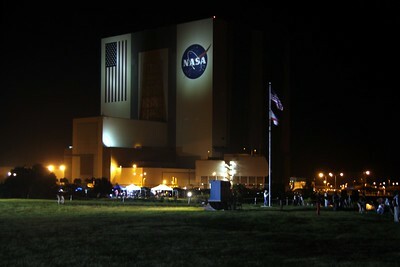 The white structure in the foreground is the end of the Launch Control Center (LCC). 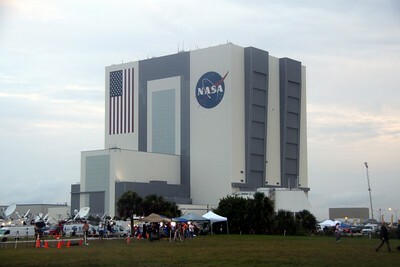 The Vehicle Assembly Building on the morning of the launch, with the flags of the United States and Atlantis flying. 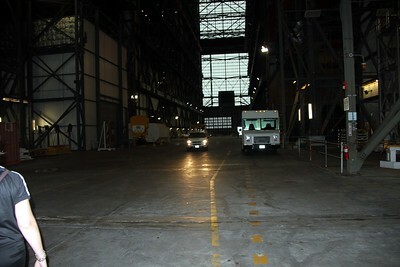 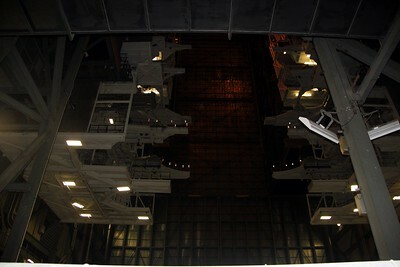 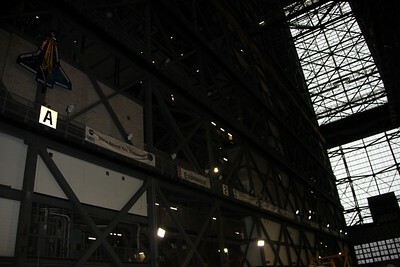 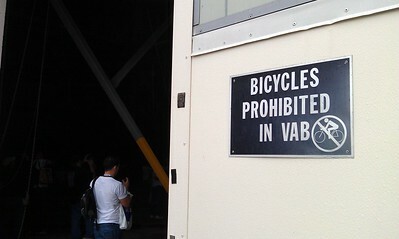 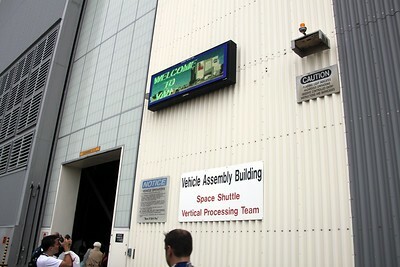 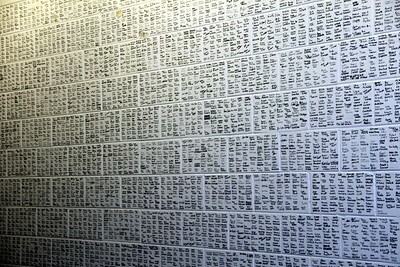 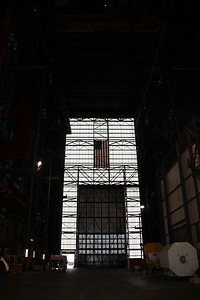 Banners signed by the teams that supported each Space Shuttle mission hang in the Vehicle Assembly Building. 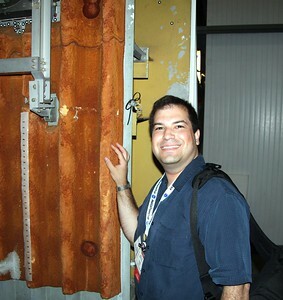 In the upper left of the photo is the mission patch for STS-107, which ended with the loss of Columbia and her crew. 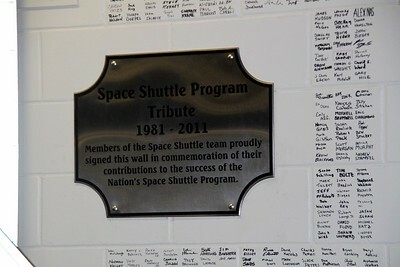 Behind the cinderblock wall is the final resting place of the debris recovered from the accident. 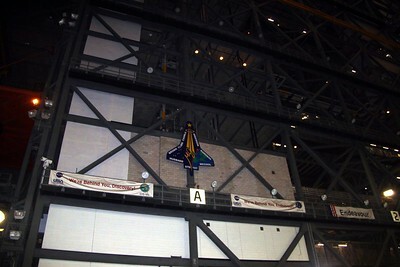 Banners signed by the teams that supported each Space Shuttle mission hang in the Vehicle Assembly Building. 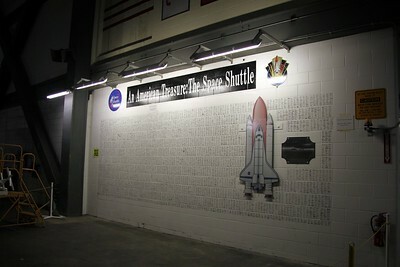 In the center of the photo is the mission patch for STS-107, which ended with the loss of Columbia and her crew. 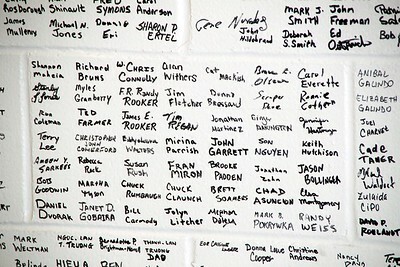 Behind the cinderblock wall is the final resting place of the debris recovered from the accident.